Please finish the abstract according to the "Abstract template(Session ID)" and complete the "Paper submission form(Session ID)", then send both files to imeti2015@imeti.org and imeti.isti@gmail.com. 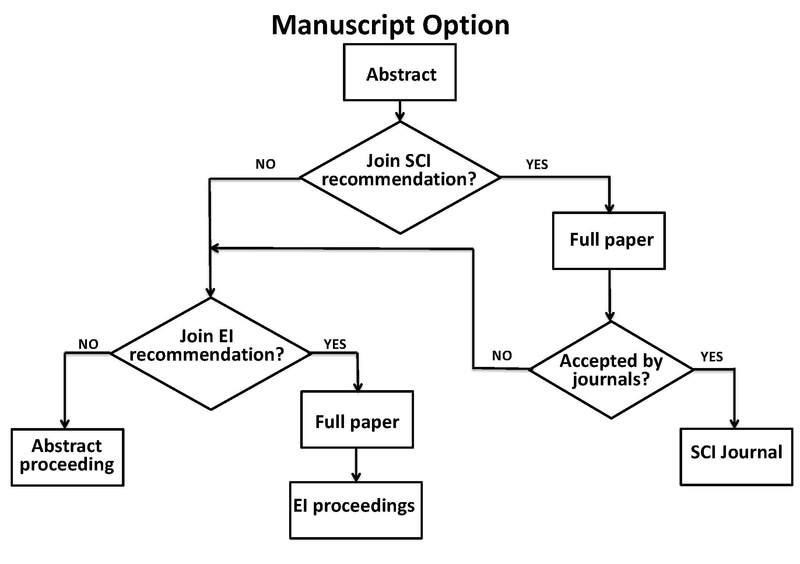 Reminder: To complete the manuscript option column, please follow the above manuscript option flowchart to select one of the options in the paper submission form. If you have ever submitted your manuscripts to International Journal of Engineering and Technology Innovation (IJETI), your manuscripts submitted to IMETI2015 will have top priority to be accepted. In addition, each manuscript accepted by IJETI will have a 20% off once for the full registration fee of IMETI2015. Remember to add your IJETI Manuscripts No. in Paper submission form. Editage offers a special 10% discount on their manuscript editing services to IMETI authors. Visit http://www.editage.com.tw/ and mention IMETI10 when placing an order. The EI proceedings will be published by CRC Press / Balkema (Taylor & Francis Group) after-conference. SCOPUS ( http://www.scopus.com). As it is after-conference publication, the EI proceedings will be delivered to the author who is willing to purchase the published book. The cost including shipping fee is 100 USD.